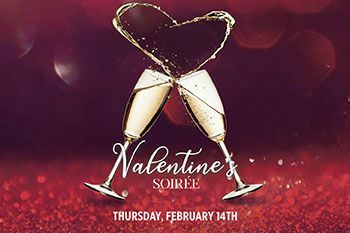 Join us at The Proud Bird for our Valentine's Soiree! *Ticket sales purchased together will be seated together. Please note that separate ticket sales are not guaranteed to be seated together. Price does not include Sales Tax and Eventbrite fee. Service charge is included. Management reserves all right. Menu subject to change. While supplies last.